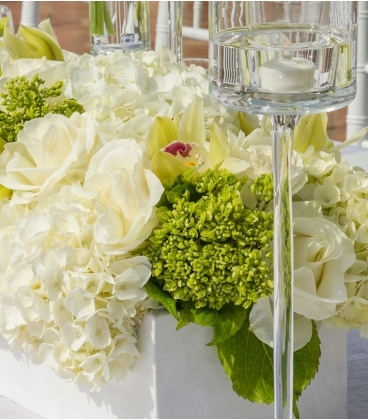 Beautiful centerpiece, creation in the inspiration of moment. Select your budget, and we will realize a magnificent centerpiece for you. A floral arrangement with a mixture of all create a bold yet sophisticated statement of celebration.